Totally scrumptious, right? 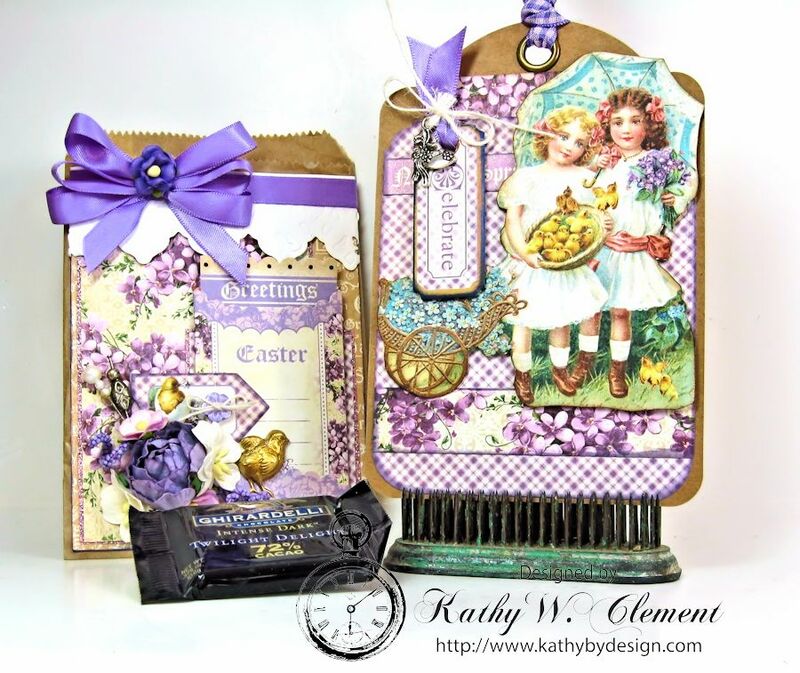 They made me think of the color palette in the Graphic 45 Sweet Sentiments paper collection. So I pulled that out of my stash along with a middy bitty kraft bag and went to work. The colors of this bag make me think of the lilac bushes that used to flourish in my home town when I was growing up in Vermont. I topped my little bag with a loopy bow tied with glorious purple satin ribbon from the Ribbon Club Assortment. It is the perfect color match for this collection, and you know how hard it can be to match purple! The tag inside the bag is topped with scrumptious purple/pink plaid ribbon, also from the Ribbon Club Assortment. Have you seen the beautiful new English Roses Bonnie is carrying in the shop? I used a purple one as the base for my flower cluster then surrounded it with apple blossoms, sweetheart blossoms and spiral stamens. I tied a teeny tiny bow in the center of my itty bitty button using Ivory Burlap String, and then tucked in some stick pins and a little brass chick charm in for good luck. I tucked a dressed up in its Easter Best Graphic 45 Staples tag inside the bag, along with an individually wrapped chocolate. 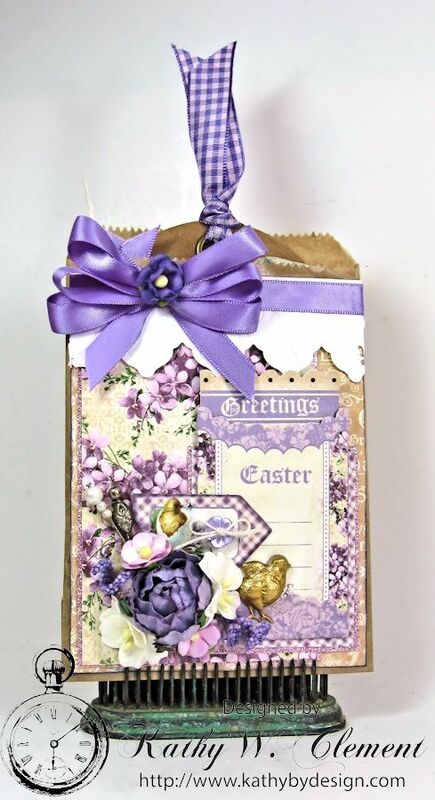 This little Easter Treat Bag would be the perfect little surprise for a friend or co-worker, and it would mail nicely, too. Oh my. This is so pretty. I am going to search my hoard for some bags and tags...this is an awesome project!!!! Love the ribbons! This is a fantastic idea. 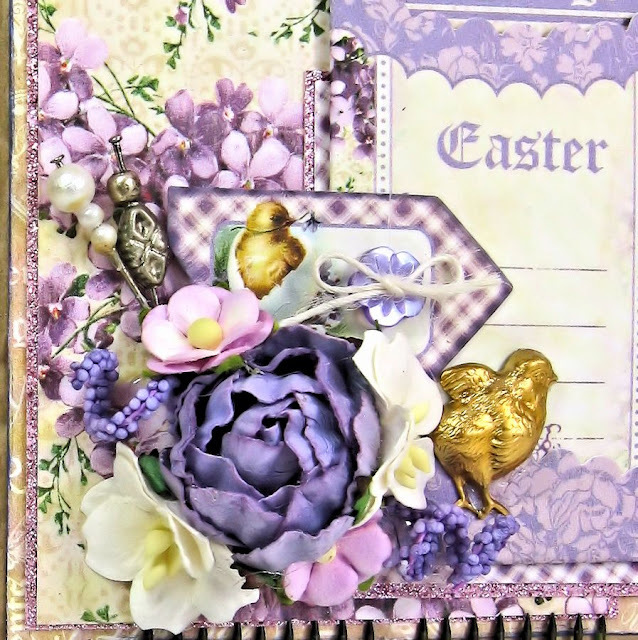 Of course, I just love the paper collection you used and I really like the gold little chick that is just precious. 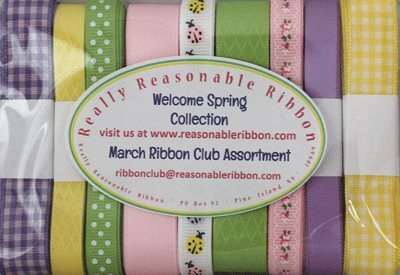 And I couldn't agree with you more about the ribbon pack this month it is just beautiful!! As soon as I saw it my mouth just dropped gorgeous colors for sure! thanks for sharing your Easter Tag.